Cloggin' Feet are Happy Feet!!!! Put our expertise to work for you. 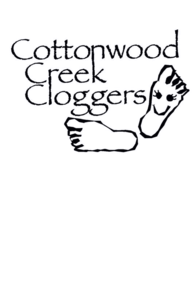 At Cottonwood Creek Cloggers, we are proud to entertain residents throughout our community and the State of Oklahoma. 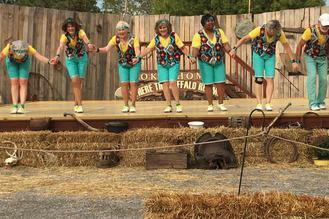 ​We had a great time at the Great State Fair of Oklahoma!!!!. 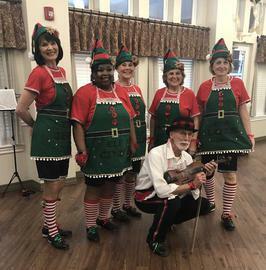 2017 was a great year for the Cloggers and we are looking forward to 2018. Oklahoma State Fair, Greater Oklahoma Bluegrass Hall of Fame, OKC Arts Festival, Stockyard City, Touchmark Memory Care, Fountainbrook , Villagio, Willowood, St Katherines, Heritage Point, Town Village, Grace Living Center, Hefner Mansions, SW Mansions, Village on the Park, Fountainbrook and many more. 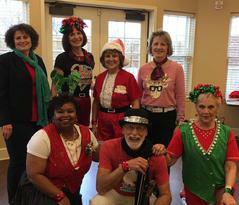 Our mission is to bring joy and smiles to those for whom we perform. It is our Passion.